Julep May 2012 Box (American Beauty) has arrived and I have to say, I absolutely LOVE the shipping from Julep! Shipping has been consistent from Julep, where they arrive in the beginning of the month and it is just SO speedy! While Julep is shipped from the USA to Canada, it's shipping time beats out the Canadian sample beauty box companies hands down. Yes, Julep has the advantage of the products being of their own brand so they do not have to wait on other suppliers but I think it evens out when taking into consideration that they are shipped from outside of Canada. 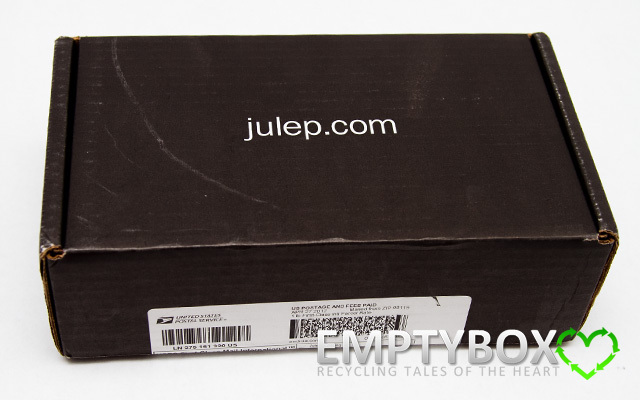 For May, the box that Julep shipped the products in looked a bit different from usual. Whereas normally it's shipped in a square cube box, this time it has arrived in a rectangular box. Other than that, everything else is the same where it's still the signature black cardboard box with the Julep name and brand on its side. 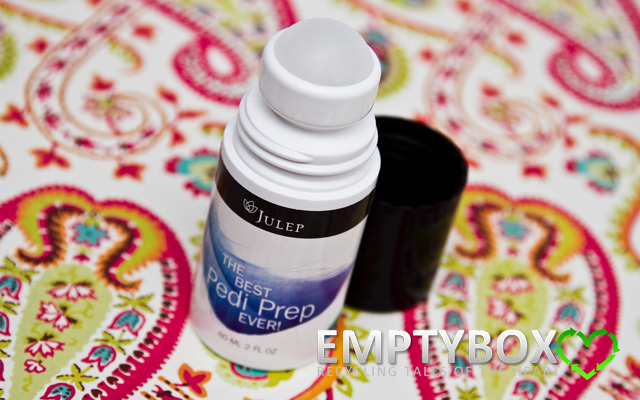 Julep The Best Pedi Prep Ever! 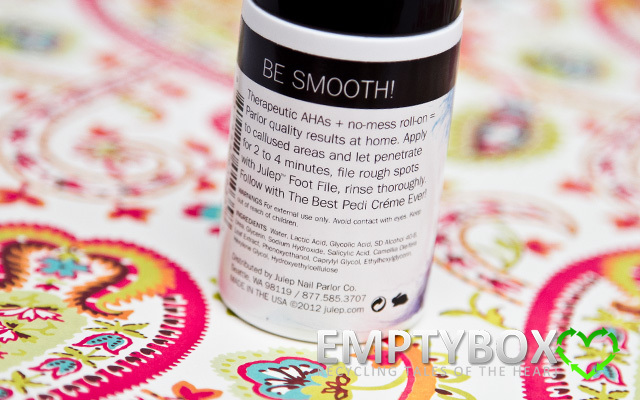 Julep The Best Pedi Creme Ever! 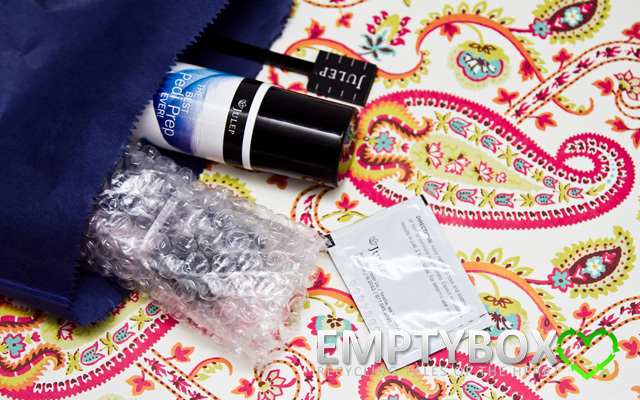 We have come to the end of the Julep May 2012 American box! While the outside is a black and white theme, the inside is the traditional brown. 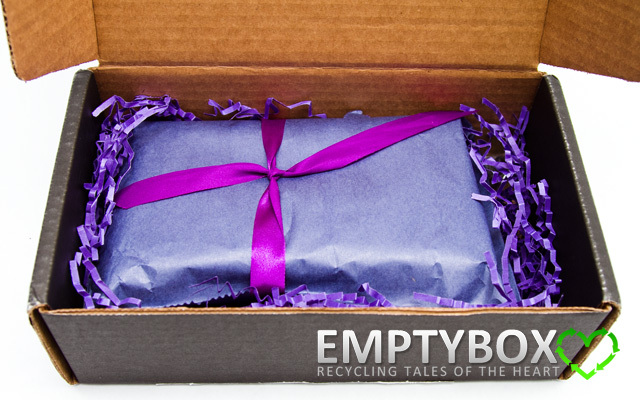 We see that nothing is hiding under the pretty purple crinkled paper strips! Well, like I said in the beginning, I totally applaud Julep on their shipping! 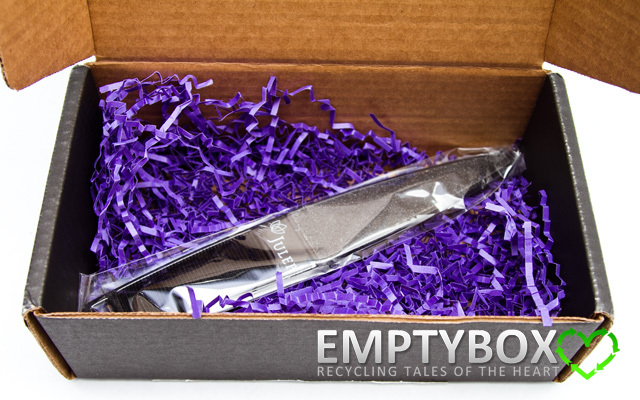 Packaging is great with them and I think it is AWESOME that they allow subscribers to have the options to either Skip the Month, Try a New Style, or Send to a Friend! This is the first time I have taken advantage of one of those options. Normally, I am a Julep Maven Classic with a Twist but for May, I had decided to switch to Julep Maven American Beauty. 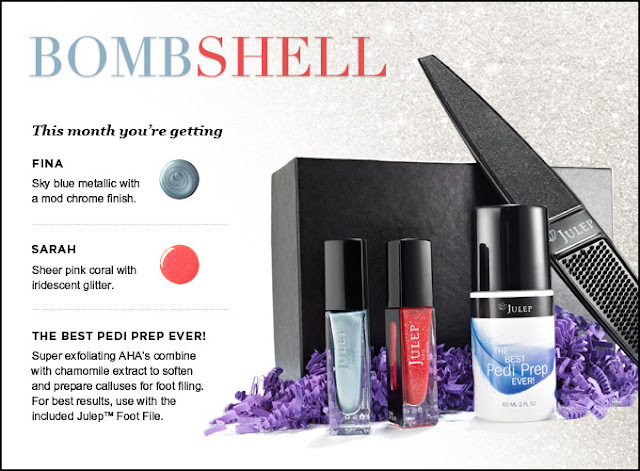 The reason for this change is that since Julep allows you to preview what you'll receive in your next month's box (which is a great feature by the way), I absolutely did not want Classic with a Twist AT ALL! It was the only box without ANY nail polish in it whatsoever. 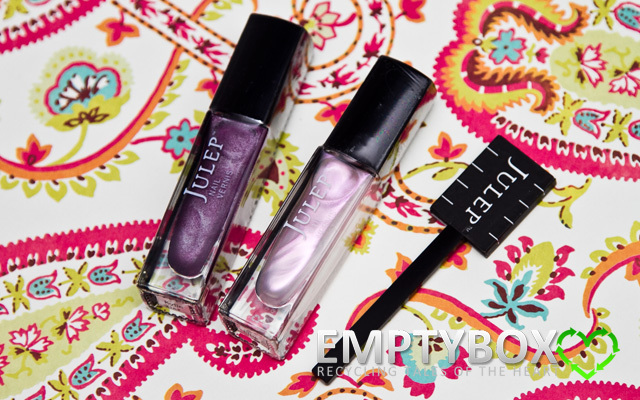 Some people might not mind that, but when it's from Julep, I pretty much expect at least 1 nail polish. Anyways, I'm not too into the whole foot care thing, so a box just devoted to that was just not for me. I now see why the delivery box was bigger and rectangular compared to other months. This is all due to the Julep Foot File being too long for the square box. 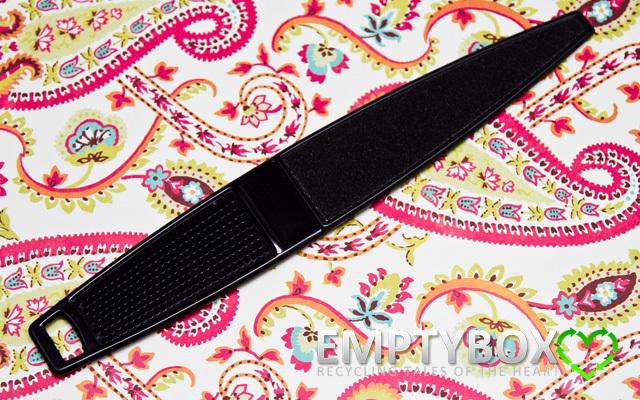 The foot file looks good and feels like pretty good quality, so I'm happy with receiving it. The sample of Julep The Best Pedi Creme Ever! is a nice bonus, though it was only in last month's (Julep April 2012) box that I had received the full size version with the box. I enjoy the promotions that Julep offers. Whereas I had participated in the April 2012 Add On Promotion, I had decided not to for the May one. The only reason for that is that while the April one had a wide and larger selection of nail colours to choose from, I found the May options to be a little lacking. I already received the two colours I would have chosen in my American Beauty May box, so I had to pass. 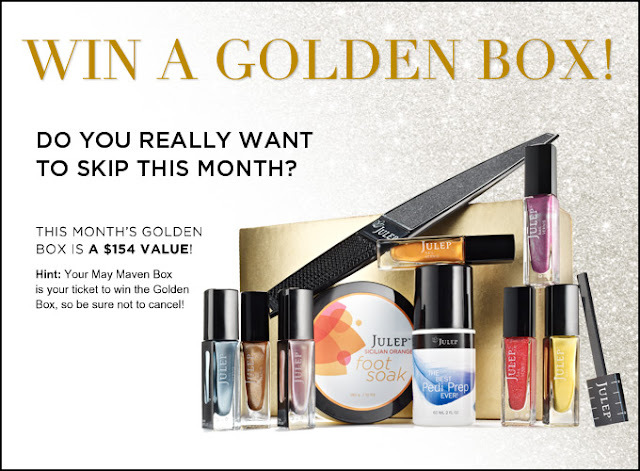 Maybe if Julep offers more nail colour selection or past/discontinued colours, it would be a bit more exciting for new subscribers or members who have missed out in the past. As well, the Julep $0.01 promotion is still going on. If you want to join in on the action, this promotion is a great way to start. 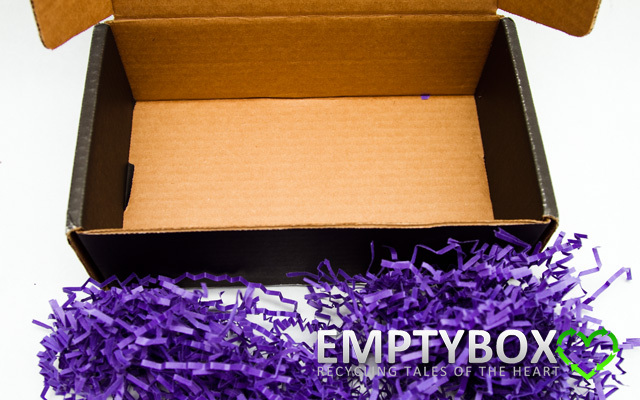 How the promotion works is that you can receive your first Julep box, all for a single PENNY. 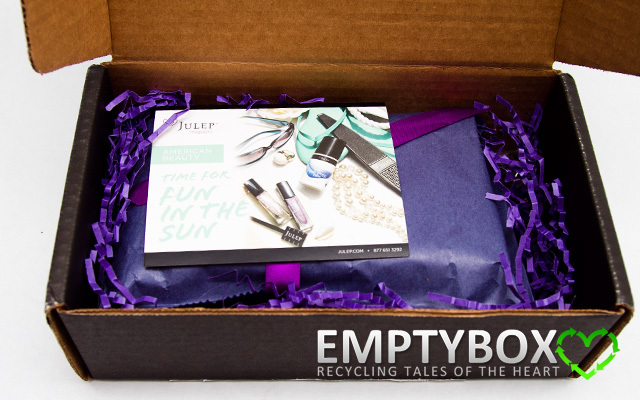 After that first box, you can choose to continue Julep like a monthly magazine subscription which gets delivered every month for $19.99/month. Or, you have the option to cancel after the first box. You also have the 3 choices of: Skip the Month, Try a New Style, or Send to a Friend. 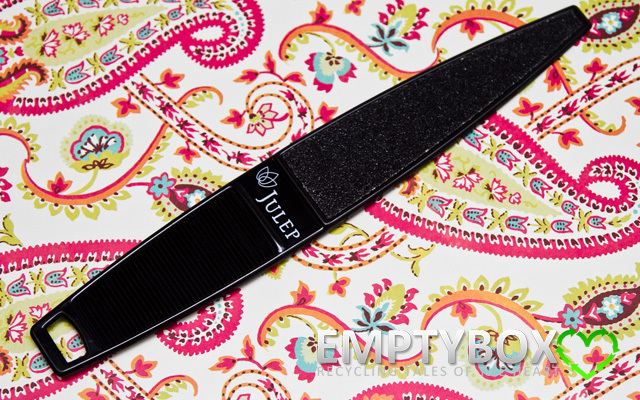 The choice is up to you and the great thing about Julep is that like I said earlier, they are really flexible! The promo codes for the Penny Promotion in May are SHAREONMAY, COLORS4ONE, COLOR2012, and MAYINTRO. They're different codes, but produce the same end results. If you are interested in giving Julep a try, I'd SO appreciate it if you'd consider using my referral link, http://www.julep.com/?r=19514457 where this would give me the opportunity to earn a free subscription. Thanks so much in advance!!! I got a wonky brush too! 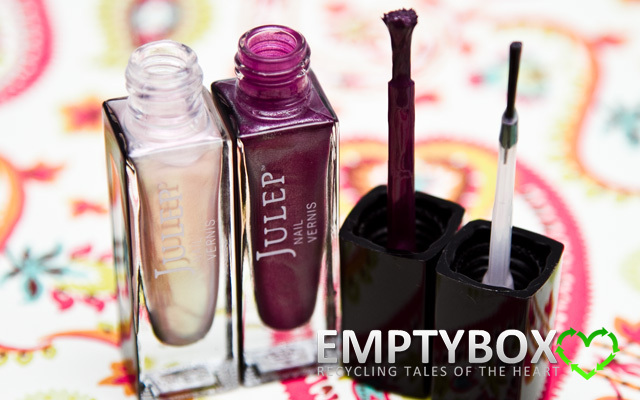 You should email Julep for a replacement. That's what I did. They're aware that they shipped out a bunch of defective brushes this month. Oh thank gosh i'm not alone. I thought i just got the random defective one. Well thank you so much for letting me know! Do they give you a hard time about getting a replacement or require you to send back the bad one or anything? Not at all, Julep is aware they sent out a bunch of defective brushes. So if you have a wonky one just let them know how many you need to replace. They're pretty understanding!